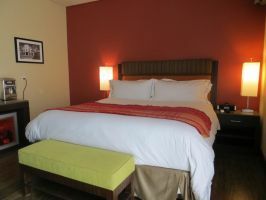 Book a hotel for the day in Beverly Hills and get some great deals and offers for day rooms. Instead of paying night rates, enjoy a day rate by booking a day room. Whether you're a visitor hunting for celebrities or a local looking to get off Rodeo Drive, you’re sure to find something to enjoy on of LA’s most famous neighbourhoods. At Hotels By Day, we work towards meeting your needs by offering same day check in and check out options at day hotels, for your perfect hourly hotel in Beverly Hills, California to take a “daycation”.